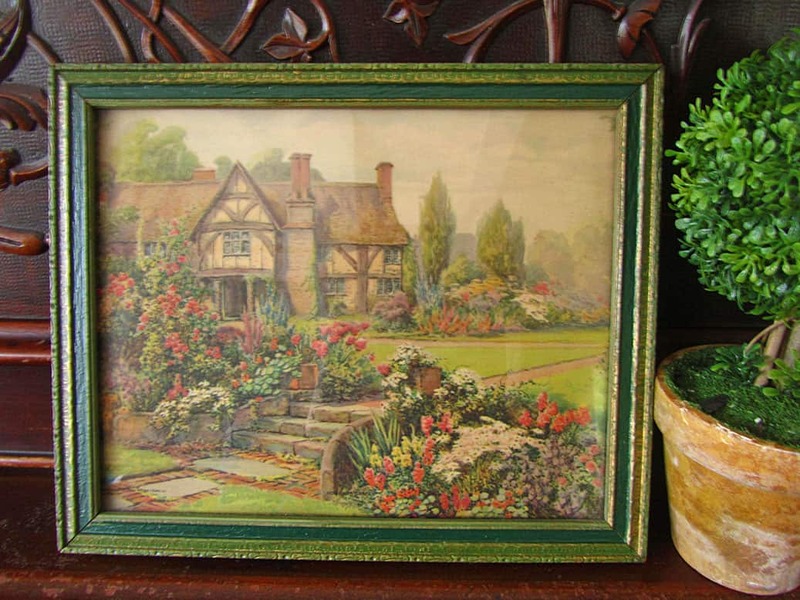 Have you ever been drawn to this type of vintage artwork, maybe on an old calendar, or in a beautifully adorned antique frame? Chances are, it most likely could have been done by Roger Atkinson Fox, or one of his alias names. 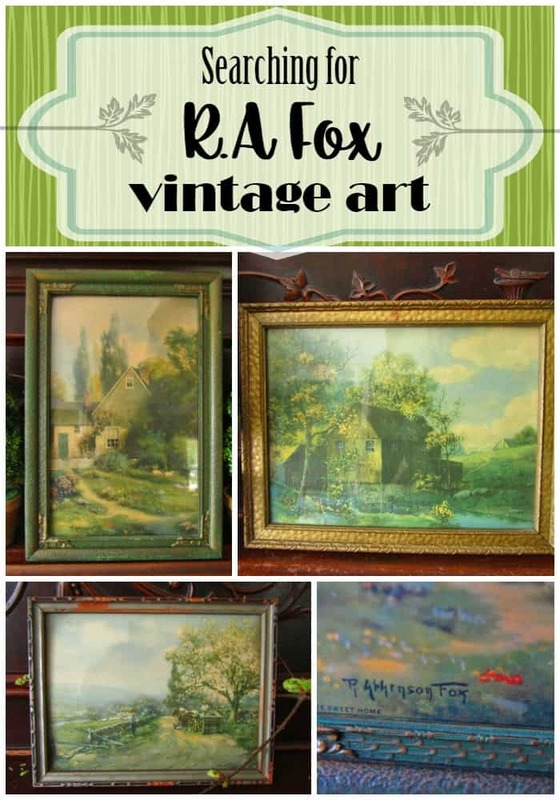 My collection of R.A. Fox prints has slowly grown through my years of antiquing and estate-saleing. I don’t have them permanently hanging on my walls, but rather rotate them to different rooms, depending on the seasons. 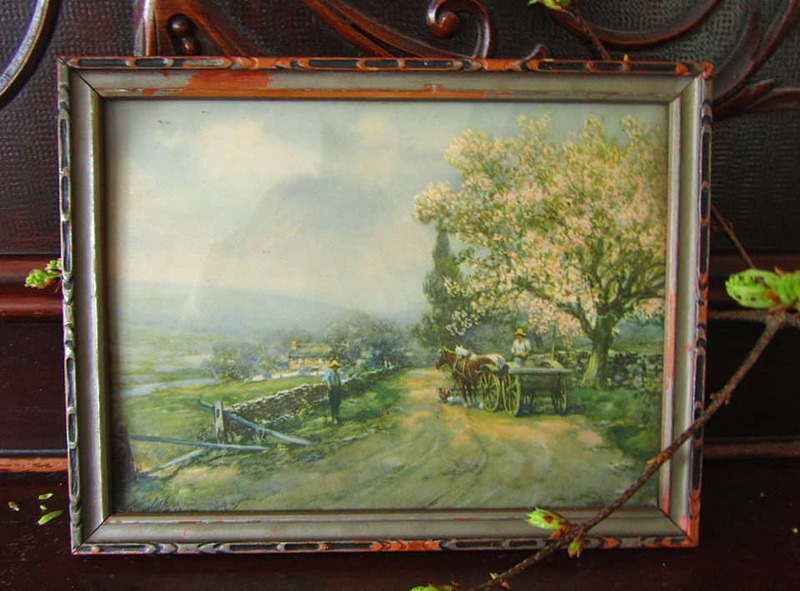 I’ve always been drawn to these almost Monet-like, pastoral scenes at antique stores. 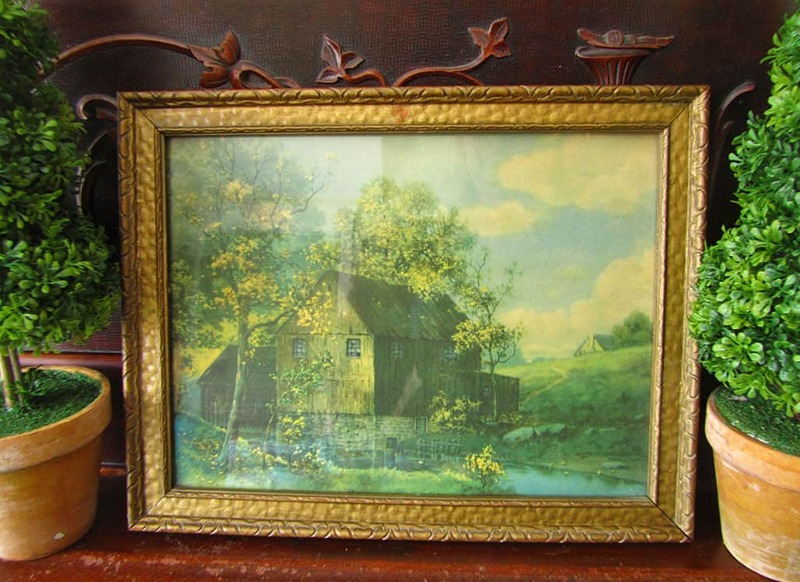 If there’s a cottage or an old barn in the scene…even better. 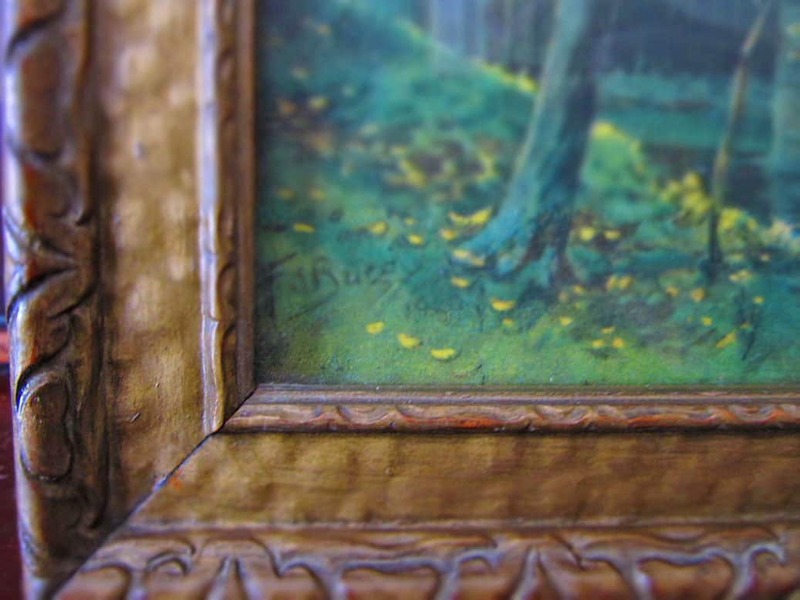 Adding to the beauty of the picture is the ornate, detailed frames they are usually in. Most of the frames I’ve picked up have a predominantly green color scheme, with aquas, yellows and grays. I thought it would be fun to share my collection today, and what I learned about the artist. 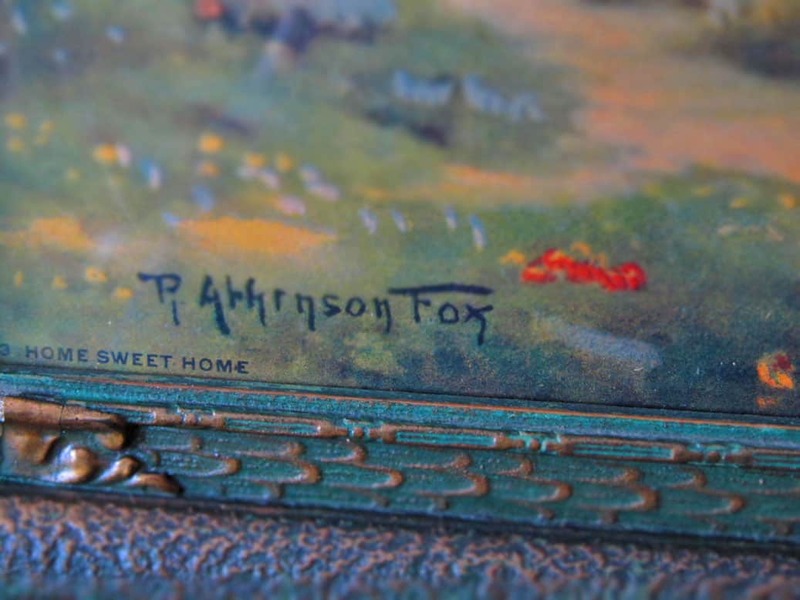 My favorite frame, above, is the only print that features the artists name, Robert Atkinson Fox, which I learned, is not unusual. R.A.Fox (1860-1935) was born in Ontario, Canada. He left home in his teens to study art. He began earning his living as a portrait artist. 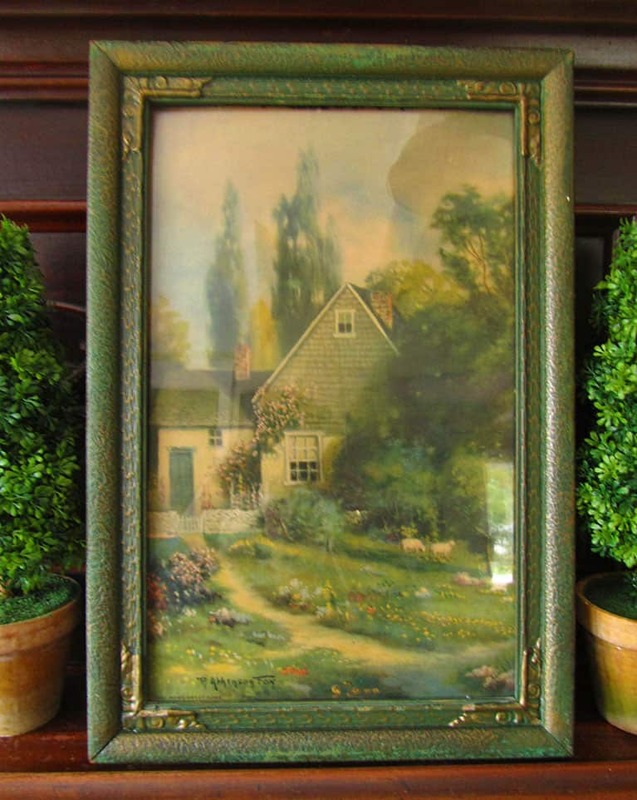 Sometime in his 20’s he traveled to Europe, where he was obviously influenced by their use of of soft, subtle colors to create tranquil, natural scenes. In the late 1800’s, he moved to New York where his paintings were well received. His strength was Naturalism, painting mostly landscapes and rural themes. Cows, sheep, dirt roads, gardens and trees were his comfort zone, but when 1900 arrived and colorful images were being used in print prolifically, he became a sought after illustrator. The “Golden Age of Illustration” saw companies producing calendars, posters, postcards, and various advertising material, and R.A. Fox became a very busy artist. He settled his family of 8 children in New Jersey so he could be near his clients. He was a hard worker, and was definitely not a starving artist. He painted everyday in his studio, and often completed a painting a day. Painting was income, and it didn’t bother him if his name was not on his work. Many times, at the request of the publisher, he would use a pseudonym. Experts guess that between 16, and possibly up to 40 different names were used on his paintings. In the editing and printing process, publishers would also remove his name. He used this to his advantage, being able to work for competing companies. The publishers liked it, because it looked like they had a whole battalion of artists. 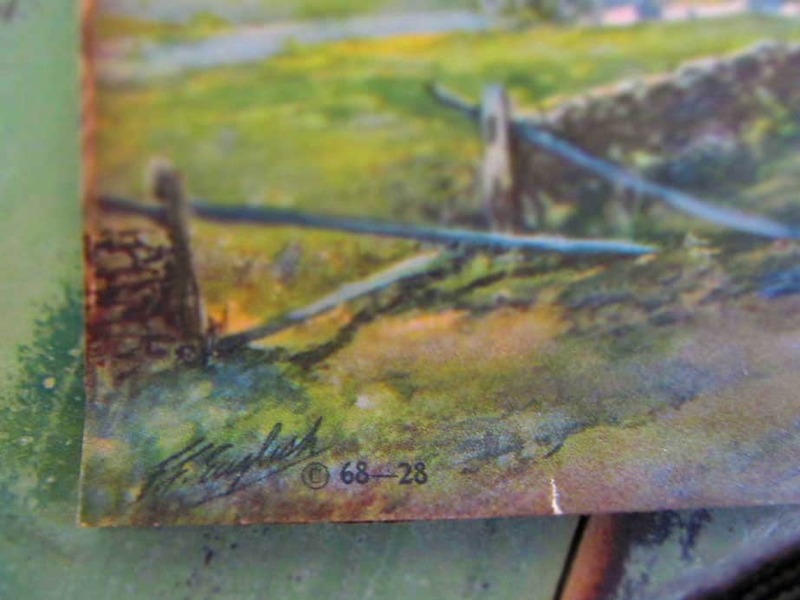 Over 1000 prints have been documented to be painted by R.A.Fox. 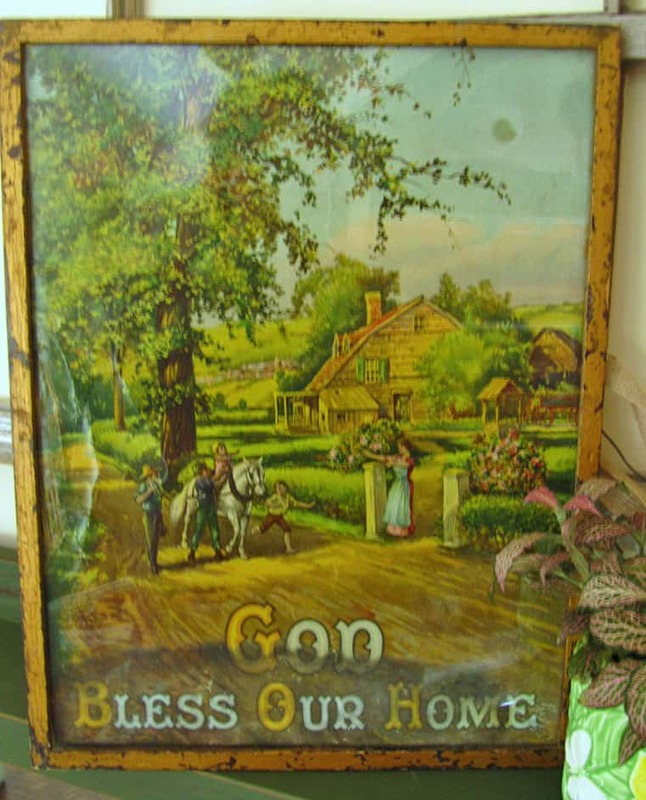 After looking through the gallery of the R.A. Fox Society webpage, I think I have even more of his work around my house than I realized, including pictures of Jesus, and adorable children and birds. But honestly, I guess I won’t really know which are his, and which are from another artist! 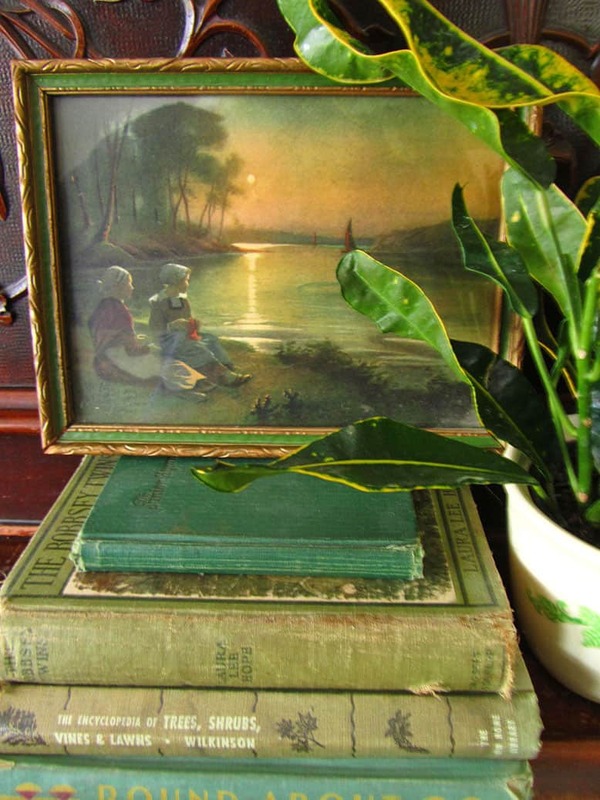 It was just so interesting to learn about the whereabouts of some of my favorite decorating items! I think we all get an “A” in History class today! Thanks, Fonda. I guess true art’s beauty can be enjoyed whether one knows the real artist or not! Thanks for commenting. I understand why you collected that kind of art. It’s so peaceful and calm. It’s too bad you can’t identify what is Fox’s and what isn’t, but what you have shown here are all lovely and seem to have been painted by the same hand.